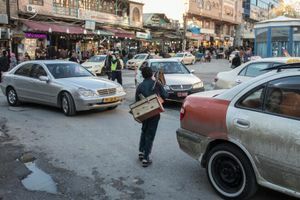 As Iraq’s first photography agency (and as individuals), we value honesty, integrity, transparency, teamwork, personal excellence, continual learning, mutual respect, and an appreciation for fair, objective, and ethical journalism. 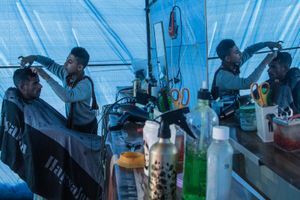 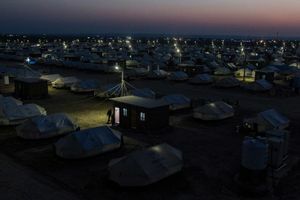 Metrography was founded in 2009 by Iraqi photographer Kamaran Najm and American photojournalist Sebastian Meyer, with the objective of establishing a thriving, independent photography and photojournalism industry in Iraq. 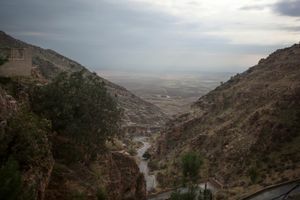 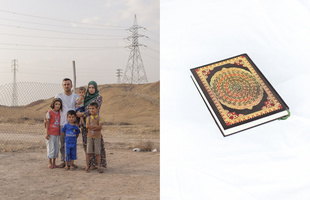 Through the spread of powerful visual journalism, we hope to help break down ethnic, cultural, and religious barriers, foster peer-to-peer collaboration and learning, and celebrate Iraq’s diversity and history by telling its story through high-quality photography, videography and multimedia productions. 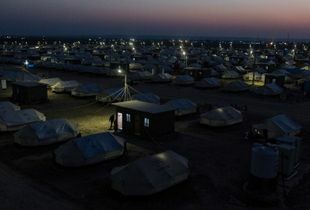 With a core-group of nine Iraqi photographers, the agency has provided training to hundreds of photographers and journalists in the region; documented news throughout the country; organized festivals and exhibitions and collaborated with both international and local NGOs. 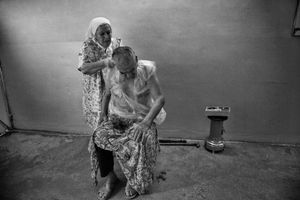 Every day, we are overwhelmed with stories of the growth of ISIS, the destruction of ancient cities, the death of innocents—meanwhile, these brave Iraqi photojournalists go deeper and stay longer, offering in-depth humanitarian reports that aim to deepen our view of a complex, ever-changing region. 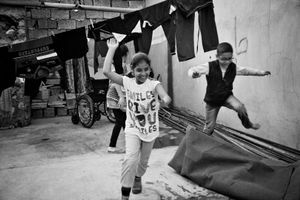 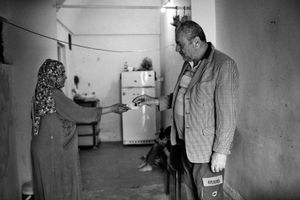 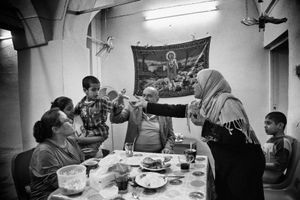 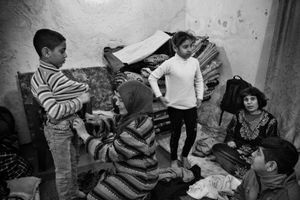 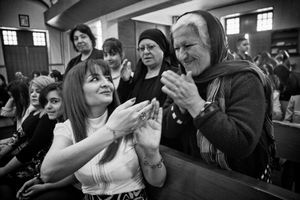 Amidst the endless stories of religious warfare in the Middle East, these photographs offer a ray of hope, showing us an intimate portrait of harmonious co-habitation between a Christian and Sunni family in Kirkuk, Iraq. 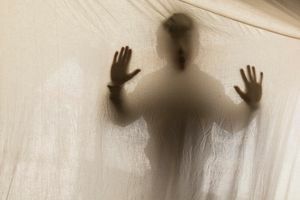 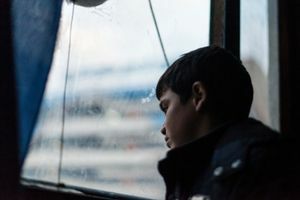 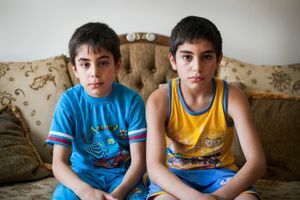 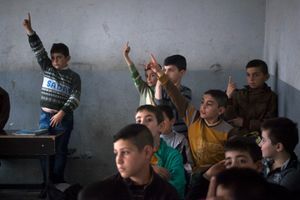 By carefully tracing the journey of two young, orphaned Iraqi boys across their country’s shifting battle lines, these photos convey the devastating personal impact of conflict and displacement. 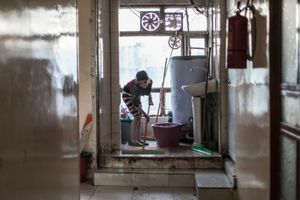 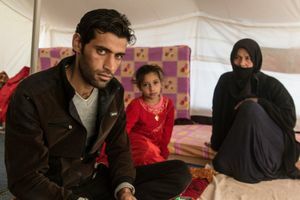 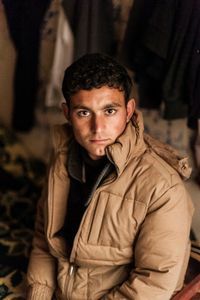 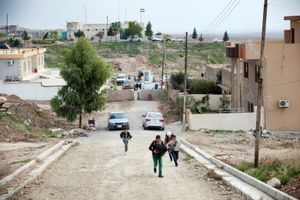 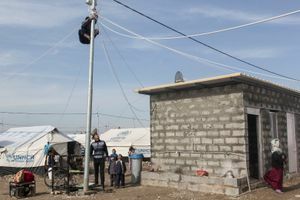 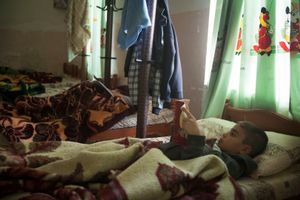 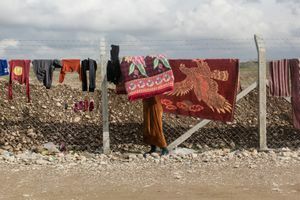 Over one million displaced refugees have flooded into Iraqi Kurdistan—this touching photo-report tells the story of a group living out of two over-crowded hotels and their daily struggle to get by.